Price Adjustment! 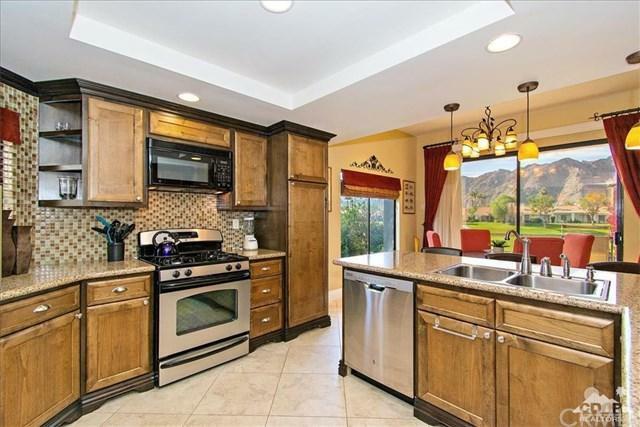 Welcome home to this southwest facing Champion Three model with a third bathroom at the Palmer Private Course at PGA West in La Quinta. 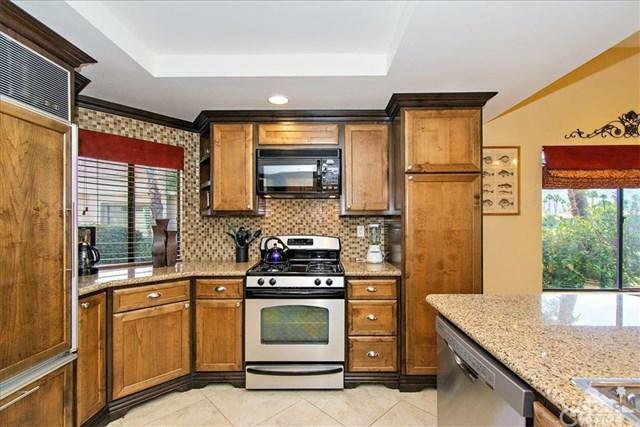 Featuring custom paint, cabinets, gas stove, recessed lighting, custom backsplashes and surrounds, baseboards, granite counters, wine fridge, custom window coverings, tile and hardwood floors, this home is upgraded and finished beautifully. Your family and friends will enjoy a libation, grilling on the patio, watching the golfers on the 8th hole, or the sunsets from the patio with mountain, lake and fairway views. This home is just steps to the community pool and spa for added convenience. 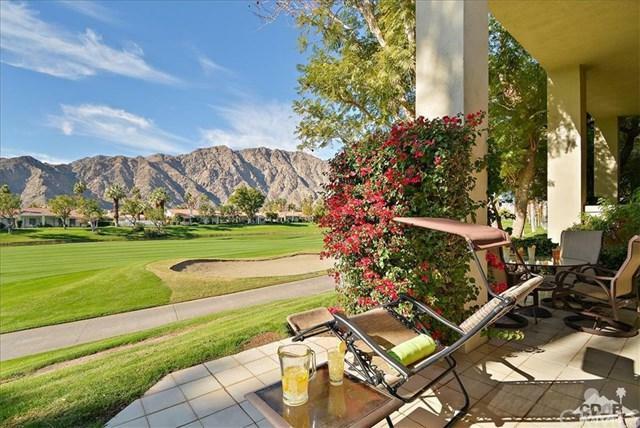 Close to shopping, dining, world-class golf, tennis, hiking, biking, theater, and all that the desert has to offer. Perfect for a weekend getaway, vacation home or primary residence. Good rental history if you are looking for an investment property. Exclusions Furnishings Available & Negotiable. Inclusions Furnishings Available & Negotiable.